The recent developments in technology inspire designers and engineers in creating more and more sophisticated and smart consumer products. However, the most ingenious device in the world will fail, if its users are not able to access the mastermind it provides. How can we best support product creators in the thorny task of inclusive design? 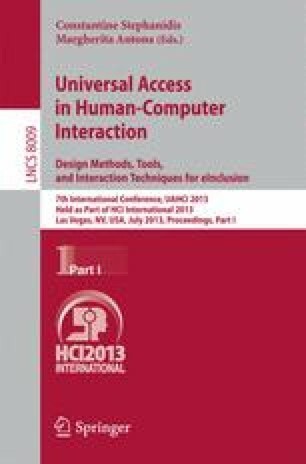 In this paper a prototypic realization of a virtual user modeling framework to support designers in creating more inclusive products following the phase-based product development process is presented. A qualitative usability survey evaluated the acceptance of the proposed end-user applications among designers and the effectiveness of the recommendations-driven support – the paper provides insights.